Don't let their size fool you. The SP-100, SP-125, SP-225 and SP-325 tailgate spreaders offer big performance for smaller application needs. 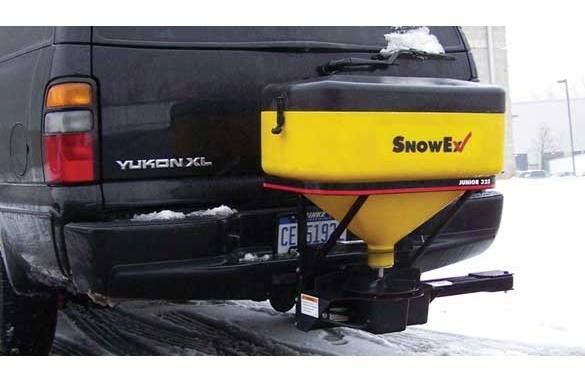 The SP-100 and SP-125 are designed to spread bagged ice melters and calcium chloride pellets up to 20 feet wide, while the SP-225 and SP-325 can spread bagged rock salt. 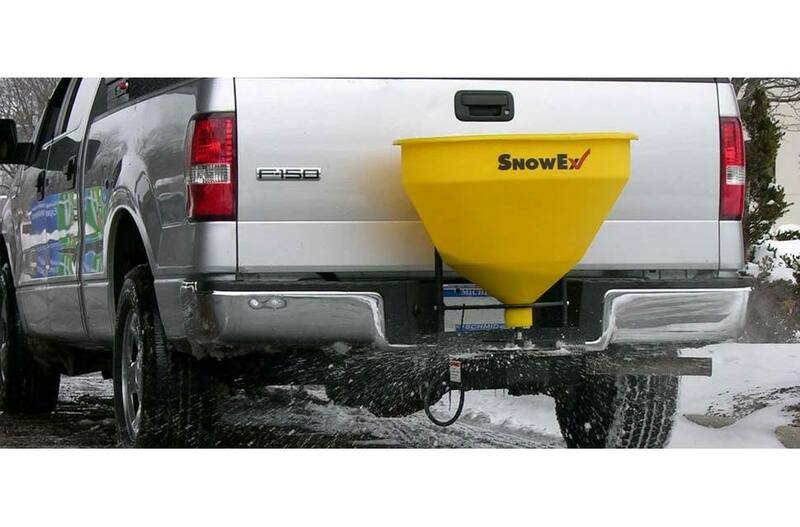 All the utility spreaders are loaded with features that offer a level of sophistication that's fit for snow and ice pros. 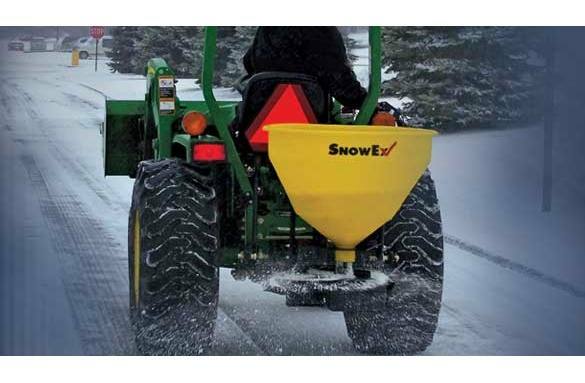 Variable Speed Control: This weather-resistant, cab-mounted control adjusts spinner speed to help manage spread width. Electric Gate : An electric-powered gate starts and stops material flow to the spinner. Receiver Mount : Spreaders come standard with a 2-inch (51mm) receiver mount for convenient attachment to a variety of vehicles. Weather Cover : Keep the spreading material safe from outside moisture with the clear, fitted weather cover. Weather-Resistant Control: Controls the spinner from a single weather-resistant control located in the vehicle cab. Manual Gate Cable Kit: Provides an extended gate cable for pickups whenever a standard 10-foot cable is not enough.